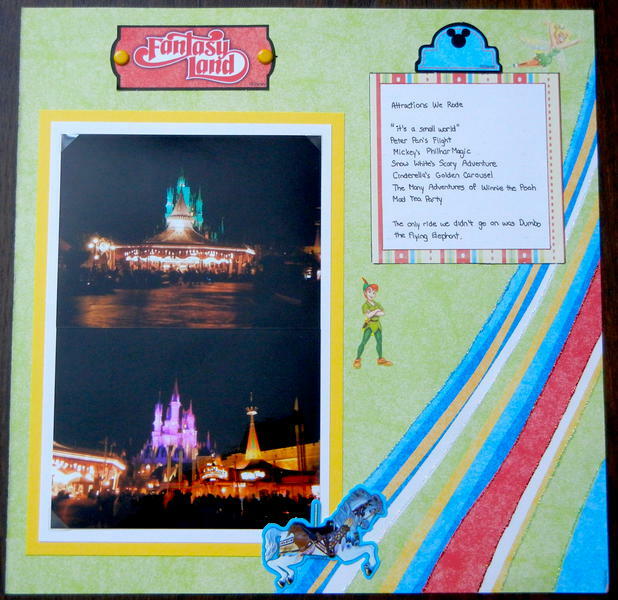 The only ride we didn’t go on was Dumbo the Flying Elephant." 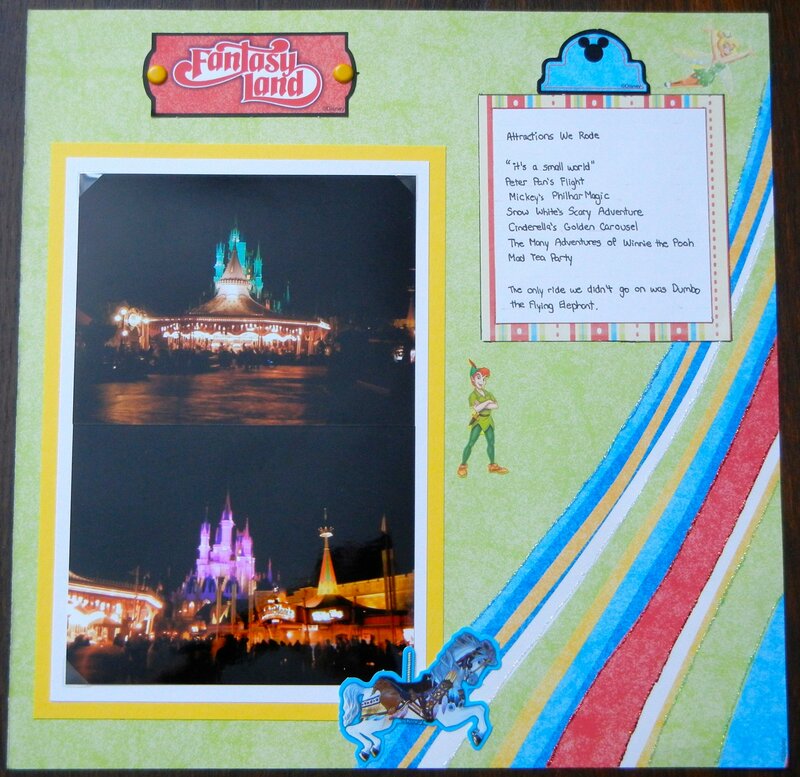 These two pages were made using the Disney Finish a Flash kit (or something like that). Most of the diecuts are from that kit and the rest are stickers I purchased at Disney World.